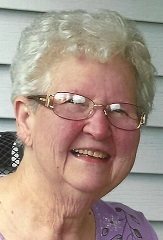 PORTAGE – Stella L. Anderson, age 82, passed away on Sunday, February 3, 2019, at Tivoli in Portage. Stella was born at home on September 27, 1936, in Necedah, the daughter of George and Anna (Zouski) Graff. She was married to Donald Anderson who was a loving and devoted husband and father. Stella and Don owned the “The Longbranch” in Pardeeville for many years. She enjoyed baking, travel, reading and she loved to socialize. Stella had many friends. She organized Portage Unique Singles, was a past President of the Tavern League of Wisconsin and a member of St. Mary’s Catholic Church in Portage. She loved and missed volunteering at Divine Savior Hospital. Stella had been a member of the Badger Antique Auto Club and the VFW and American Legion Ladies Auxiliary. She is survived by her, daughters, Mary (Steve) Gonzagowski, of Portage and Jean (Joe) Kiggens, of Pardeeville; her grandchildren, Jason (Abby) Kreier, and their children, Juliana, Jayson, Josie and Jonathan, Amy Kreier, Patrick (Leah) Gonzagowski and Ryan Gonzagowski; her siblings, George (Joanne), Helen and Joanne, other relatives and many friends. She was preceded in death by her parents, her husband, Donald, her siblings, John, Jim, Darlene and Don. 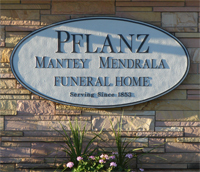 Memorial services will be held at 6:00 p.m. on Saturday, February 9, 2019 at the Pflanz Mantey Mendrala Funeral Home in Portage, with Fr. Gary Krahenbuhl presiding. Inurnment will be private in Newport Cemetery. Visitation will be held from 3:00 p.m. until 6:00 p.m. on Saturday at the funeral home. To share your sympathies, condolences and memories with the family.